I'll be on the PBS Newshour tonight | Watts Up With That? I was asked by Spencer Michels, their San Francisco based correspondent, to do an interview. At the outset, he said that this would be an “in depth” segment. I replied that all I asked for was “fair editing” and he replied that there would be. Fort Scott, downtown at a funeral home! Lampasas, TX on mian city street, at radio station parking lot. Whether or not any of that supplemental info plus my two hours of time investment gets turned into a segment that reflects what I actually said is of course the question of the day. I have to think based on my interaction with Mr. Michels, which was quite pleasant, that it will be fair, though he did mention that there was quite a debate in the Washington office over my participation. So, that causes a little bit of worry to me. You don’t seem that extreme. I suppose that because I agreed that global warming occurred over the last century, and that Co2 plays a role (though isn’t the only driver) that he was surprised that he didn’t have a “denier” soundbite to work with. I spent a lot of time talking about station siting and the effects on absolute temperature and temperature trends as we discovered in Watts et al 2012, the logarithmic response of IR to CO2 in the atmosphere and other issues from a pragmatic viewpoint (IMHO). Let’s hope he and the editors kept that thought about my supposed extremism when they edited. In the media, the word “fair” is completely subjective. It can mean one thing for you and something totally different for the editor. Maybe he meant you have a pleasant demeanor….in other words, you lack the horns and pitchfork he was told to expect. Is there a way that those of us not in the US can see the program, please? Don’t worry, you will get your “denier” label at some point. First rule, never trust a politician. Second rule, apply first rule to journalists. Well at least it wasn’t the CBC (Canadian Broadcorping Castration) wherein AW would have been portrayed and an insane right wing, Christian, Bush loving, seal hunt advocate, hater. Maybe some facts will leak out through the cracks. Extreme is not a word I would ever use for you, Brutally passionate is far more accurate. Good luck on fair and balanced Anthony in these sad times I really think that phrase is dead. Just make sure to make and keep your own copy of the interview. That way if the editing isn’t fair, then you can prove your side of the story. Extreme Danger, judging by what has happened previously, hope I’m wrong but I fear the worst. Don’t let them pull a Lewandowski on you. I have no confidence, none at all, that your views will be fairly represented. By the time they get through with you, you’ll seem as though you bark at the moon and soil your pants. You might consider sending photos of good weather stations so they can see the difference. Good luck. My parents get almost all of their news from the PBS Newshour. I asked them about climategate a couple of years ago and they’d never heard of it. I hope we get a chance to see that interview here in the UK – any chance you could make sure to try and get a link to an online video when it’s aired over there? Meantime, many thanks from a regular reader here, for all your hard work from ‘across the pond’! They’re always surprised when reality doesn’t match the echo-chamber they live in. You hope that their brains and whatever ethical sense they have would change their behavior, but when roving journalists return to the fold, the light goes out and the fantasy story remains in place. I don’t hold out much hope for a fair report. I’ll be looking for the “what they reported” v. “what I said” post here at WUWT. A warning Anthony. To a journalist (and society in general), the definition of “fair” is: “fair–adjective, anything that is to my benefit is fair, anything that is to my detriment is unfair.” Note that nowhere in the definition is there a reference to other parties. BTW…. very ballzy. Watts steps into the viper pit. Time will tell whether that was a plus or not. It does make it clear that his mindset regarding skeptics had already been set in stone. He’ll be a very exceptional journalist indeed if he can overcome his bias and make an even-handed presentation. He’s apparently already being beat up by his peers for even considering giving you air time. This could be a landmark piece of journalism or it could be the same old propaganda. We’ll soon know. How on Earth can any sceptic view be considered ‘extremist’? What are these extreme views that we are supposed to hold? Is asking questions extremist? As for warmist views, extreme is par for the course. Is there anything that the CAGW believer will not exaggerate? Best of luck with your segment though I do think you are a hostage to fortune here. The fact that your inclusion was considered controversial makes me wary of the outcome. Having read the democratic platform and its Climate change segments and given the massive bias that Even a Brit like me can detect from thousands of miles away, I wont hold my breath for them being fair towards either you or the subject. of the most implausible conspiracy theories one can conjure up. Hope you recorded the interview yourself – even if only via a little digital recorder strategically hidden out of sight. Having said that, I’m pretty sure you legally need a person’s consent to record them. Just because I it’s obviously a common query in these cases: could you tell us if you did record it yourself, Anthony? Be careful. These people are not fair and trustworthy. See if you can make a complete, seperate unedited video of the interview, or get the same. Media like this have no problem parsing an interview to make you look as badly as possible. Beware of the friendly reporter who gets you to smile at somethign and then edits it to show you as some vacuuous uninformed person. Be preapred, if it is a panel, to be rudely interrupted and then not allwed to respond. Here’s hoping that you are fairly represented by the editors Anthony. You never know, now that the IPCC have redefined climate change , the tide may be turning. This is PBS right? Sorry but he must stick to the party line. IT”S NOT HIS FAULT. I hope I’m wrong though! Anthony, get your side of the story out at the same time that the section is aired. I hope you made a tape recording for yourself. You don’t want to be taken out of context. If you did then put it online when the section starts. Did you get a copy of the raw footage of your interview? I am a familiar with a CANDU Nuclear Plant Operations policy that requires all interviews of plant employees to be recorded by the Plant operations due to anti-nuke biased editing circa 1970s and 1980s. It was insurance against libel. Anthony….while I love your optimism,you have as much chance of a “fair” editing and representation as a white mouse in a rattler’s cage. Journalistic integrity,whether print or media, was lost about…oh….hold it.What you never had,you can’t lose. You are so naive Anthony. Get ready for disappointing news. Yeah, Anthony. You don’t seem too extreme, but you didn’t let them interview UCS-member-in-good-standing Kenji Watts, did you? I am not holding my breath for “Fair and balanced; we report, you decide.” But we’ll see. I bet Anthony gets less than one minute air time and they show his statement closest to denialism they can edit. Plus they will use the least flattering shot with a telephone pole coming out of the top of his head. careful anthony remember what they did to dellingpole. record the interview yourself. it can’t be illegal to record something that happens in your own office, can it ? No doubt this is a story about Muller and his BEST project. Watts may not get trashed, but his opinion will be marginalized. There seems to be some worry they’ll edit AW into a crazy denier. I think it would be more clever and actually quite funny if they edited him into the consensus. He probably made enough statements of truth that concede points to the opposition, and defferent waffles to invite civil discussion, that it could be spliced in with polar bear drownings and pictures of dried out corn stalks to make a good scare movie. I agree with the sentiment here that the warmists tend to be left wingers, but don’t forget that the real forte of the left wing is unconstrained thought (unconstrained by arbitrary tradition or by reality). I enjoy NPR the same way I enjoy Star Wars – suspension of disbelief and acceptance that it assumes the character of the genre. You”re a brave man, Anthony. I do think they’ll make an effort to be “fair,” but their number one job is to promulgate the CAGW partly line. They’re convinced all skeptics are all nut-jobs and that the fate of the planet is hanging in the balance. The main problem is you’ll never be given the last word. You’ll be seen pointing out XYZ problem, and then we’ll be shown someone from the team explaining, in condescending tones no doubt, why you’re wrong. And that will be that. So much for fair and balanced. Note to all WUWT readers, regardless of your position (alarmist, lukewarmer, or skeptic), when being interviewed by “the media”, always have a video or at least a sound recording of the interview. As a condition of the interview, always insist the copyright for the raw interview is jointly shared (you are 50% of it, consequently you _OWN_ 50% of it). Let them know you reserve the exclusive right to publish your raw recording of the interview in the event you ‘feel’ you have been used & abused by the media’s editing of the interview. The editing process is extremely subjective. Alternatively, don’t tell “the media” you are also recording the interview, since it is more fun to ‘catch’ the interviewer in a lie at a later date. Thanks for the heads-up, Anthony. This is one of those days I’m happy Comcast lets me program my DVR over the internet! I think someone wanting you to lower your guard would be quite pleasant, also. But maybe I’m just too cynical about such issues. Anthony has the devastating WUWT? to get his side out. Be aware that EVERYBODY on either side of the debate read WUWT? extensively. The bullies fear your reach Anthony. What is more important is that the surfacestations project is correct. People who believe the stuff oozing from their tv set need to wake up. The world is being bamboozled by a source of entertainment that is extremely powerful in zombie-fying those who are hypnotized by it’s enticing glow. Well, let’s hope they give you a fair shake, Anthony. Please post a link to the interview. I, for one, unplugged my television about 5 years ago. And I can guarantee you I have not missed it. I can get pbs news here in the uk via virginmedia,channel 243. and its on Sky channel 166. Heres`s hoping we dont get a cut down version. Maybe the story will be that Professor Muller demonstrates mathematically that Watts’ surfacestations project doesn’t change anything, and that Watts, himself, agrees that the earth is warming so it’s all a big waste of time. Has this curve ever appeared in an IPCC report? I have seen it explained in a subdued way but I have not seen the curve. Callendar used it in his AGW papers in the 1930s but I have not seen it in AGW account since. I spoke to someone once who was telling me about his failed campaign to get it into SAR. Such a dampening response (lim -> 0) is of course the mathematical opposite to catastrophic (lim -> infin, or classic catastrophic tipping pts) and so anathema to the alarmist project. I would still like to see the evidence behind CO2 being a factor – I know the chemistry behind the suggestion that CO2 influences global temperatures – but I have yet to see absolute proof suggesting this is true – in fact the CERN Cloud study suggested other things, and at least from the abstracts I saw at the time of the release, that CO2 impact was negligible. I realize that is only one study – but before I believe anything about CO2 I would sure like some actual evidence – not a chemistry lab experiment – verifying it. It seems that CO2 is more a byproduct of heating than its cause. Leave it to the prejudiced broadcasting service to never surprise anyone. It’s refreshing that you still trust people Anthony, but sometimes worrisome. I am reminded of Charlie Brown running and Lucy Van Pelt holding the football. Lucy kept saying she would hold the football and Charlie kept believing it. Lucy laughed and Charlie always ended up on the ground. Good luck with that. I expect that they will be as good as the BEST editing. There could not possibly be fair editing. They don’t know what fair editing is! To them, making you look bad will be quite fair. May you avoid the ego trap that usually accompanies elation. Wear a t-shirt with the 1997-2011 global average temperature graph on the front. Not that I’d agree with that characterization. Just a prediction. I work in an industry that inherently gets frequent interviews for both news and documentaries. On one occasion, we had several days of interviews to make a documentary segment. The reporter seemed to be very fair and competent. When the documentary aired, the story was completely different and wrong. We called the reporter and asked the obvious questions. He apologized, said it had nothing to do with him but his editor wanted to make it a better story. Yes, it was a more interesting story, just wrong and misleading. That was National Geographic. Just checked to make sure I’m not geo – blocked. I’m not. Not all PBS content is available outside the USA. Which links to the full popaganda page. Well, first of all, yeah, that seems pretty optimistic. Secondly, the “surprise comment” just tells me they didn’t do their homework. Kind of par for the course. What does it tell you about the world we live in that the first response to a press interview is “I hope they don’t distort what I said to slander me?” And what does it say that this is a reasonable, pragmatic point of view? While there have been a few positive developments over the last few (post-CG) years, I have very little optimism that PBS (of all orgs) will give Anthony much better than a “while he seems reasonable at first”. For warmists and the Democratic Party, “extreme” means that you don’t agree with me. Let’s hope that’s the message Mr. Michels took back to the Washington office. Richard Muller recently was a guest of The Diane Rehm Show on PBS’s radio twin, NPR, along with a a couple of full- blown burners. Muller actually came off as rather reasonable alongside those two. Muller was introduced as a “reformed” former skeptic and spent most of his time countering flat- out lies and propaganda, but still was firmly on the side of CAGW. This evening’s News Hour will be interesting, indeed. Makes me think of Idi Amin. It’s a little worrying that Spencer Michaels views one side as extreme. I assume a reporter/story writer has to approach a subject with some preconceptions. Let’s hope that the process of doing the story showed him that there is reasonableness on both sides of the global warming hypothesis. The warmers lose me when they start concocting feedbacks that amplify the basic warming due to CO2. It’s up on the website, but how much of it gets aired is anyone’s guess. Good luck with the fairness and balance. Looking forward to that link, if only to see how your ‘public service’ media compares with ours (a.k.a. the BBC …). Set the sky+, should be interesting. Been a couple of TV shows I have bought as DVD, such as Firefly and Breaking Bad, but mostly TV does not seem worth the time. This is a very misleading statement. 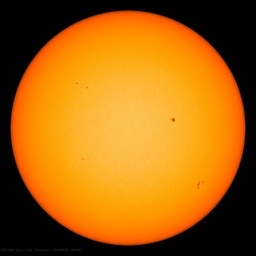 It does not allow for the fact that real warming, if any, has been brought about by natural causes, such as changes in solar activity and clouds. 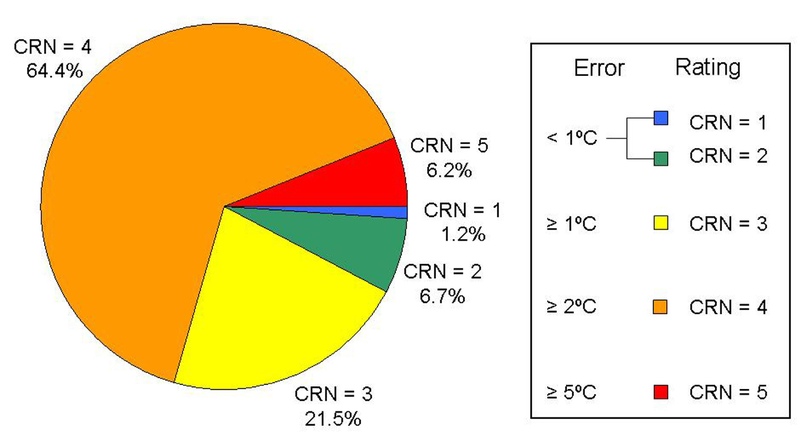 It implies that measured warming is a result of a combination of CO2, station siting and UHI. If you can, I’d suggest having your own recording, even if it’s just voice, to be able to show what may have been edited out. Of course they’ll have to edit some things for time but to be able to show what may have been edited for content. Good luck. I’m expecting they’re going to do the same thing Nat Geo did in their extreme weather piece. Increased temps will cause X but, even though we haven’t seen it yet, it’s coming. You’ll get your piece and then they’ll be a “however”. I think you do your readers a disservice with such careless or uninformed speech. To my knowledge, no one else disputes the authenticity of the emails. Example: the Wall Street Journal reports “at least one scientist involved—Mr. [Michael] Mann—has confirmed that the [Climategate 2.0] emails are genuine, as were the first batch released two years ago.” (November 28, 2011). My quick google finds no one denying authenticity of the Climategate emails’. Your language — both of you! — suggests otherwise. Can you cite a source supporting your on-air statements above? If not, are you (a) ignorant of the details; (b) sloppy in speech, or (c) biased as the caller suspected? No answer from any of the three, of course. During a fund drive a few months later, I wrote to the fund raising director promising a significant contribution if they would confirm what they said on-air, or retract-on air. Again, no response. The program is still available at http://www.kqed.org/a/forum/R201112071000. They aren’t STILL trying to pass off Muller as “once a skeptic” are they.. ?? “Once” in his case means between 2 sips of tea ! ie HE NEVER WAS !!!! Did he ask you if you thought the moon landing was faked? The transcript looked very fair and balanced. Didn’t seem like a ‘stitch-up job at all. They are going to portray Muller as the “converted” skeptic. We all know that to be a bunch of PBS (political bull s**t). Two hour investment for the only snippet they need…. “that global warming occurred over the last century and that CO2 plays a role”…. Although warming is questionable and CO2 has no role….what you will see on PBS is off camera questions with edits, that misrepresents the actual interview….coupled with voice overs and pans of your office and data….there will be NO attempt at fair and balanced news reporting…this is mass message honing in the Gobels traditon. Uneditted, live interviews are the only fair and truthful method of dealing with these automatons. Anthony: Michaels has always been one of the fairest and most thorough journalists on television. It was your good fortune for him to be doing this story and for it to be on PBS. It will probably have a slight warmist tilt, but it will still be informative and hopefully add some clarity to the issues. I wish public discourse on the effects of our changing climate could always be this cordial. I hope this isn’t to far off topic. Use of the phrase “pragmatic skeptic” to describe Anthony threw me a bit. So I tried to jot down simple definitions for the various terms used in the debate. I’m finding it difficult to properly define the distinction between Warmers, LukeWarmers, and Skeptics in a concise way. Serious suggestions would be appreciated. I’m convinced that if the media had a proper definition of these terms the pieces they produce would be far more insightful. “You don’t seem that extreme” is a good example. Affirmer: one who blindly supports the IPCC conclusions with little to no understanding of the science. Denier: one who blindly rejects the IPCC conclusions with little to no understanding of the science. Everyone else, to one degree or another, is skeptical of IPCC conclusions. Warmers, LukeWarmers, and Skeptics support aspects of the IPCC conclusions to varying degrees. No one, other than Affirmers and Alarmists support all of the IPCC conclusions for a very simple reason. The conclusions are presented in relation to degrees of certainty. Many of the IPCC conclusions are found to have low levels of certainty. In other words, many of the conclusions are unsupportable. The biggest problem sub-group in the mix are the Alarmists. Alarmists have a vested interest, either financially or psychologically, in the outcome/solutions with an understanding of the science that varies from 0% to 100%. This is the group that thwarts attempts to have an intelligent debate about the state of the science and proposed solutions. The IPCC has included solution work groups from its formation. The IPCC has a vested interest in the science and the solutions and thus is Alarmist by design. There’s another group worth mentioning; Climate Realists. Climate Realists tend to be more pragmatic in the debate preferring to focus on outcomes in direct relation costs incurred to evaluate proposed solutions. The comments at PBS are particularly telling. There are a lot that are critical of PBS to dare show the other side. Hateful lot they are, threatening to pull back support for PBS, questioning the wisdom of interviewing a ‘Denier’, etc. It’s very hard to win over the converted. Not misleading at all. We don’t know yet whether any of the warming mechanisms postulated are relatively factual. We believe they are, but we’re a long way from evaluating the extent. The two things Anthony mentioned are valid – Anthony is not saying they are the whole story. He is absolutely correct in what he states. And the answer from the first question is easy: “low, very low”. The second is more significant. Our metrics of global warming are an absolute horror. I just watched the presentation and found it to be disappointing, as “they” are still attempting to color the skeptics as global warming deniers. NO! The land temperatures here have increased since the LIA, but the reasons therefor were not mainly anthropogenic. Lukewarmer ( hey I’m a founding member) was first coined on climate Audit. There were two core beliefs we held about the SCIENCE. 1. IR opaque gases in the atmosphere lead to a warmer planet. That is, an atmosphere with, say, twice the C02 will be warmer than one with half the C02. Most of the initial members of the group are engineers or former engineers who understand the physics of radiative transfer. 2. The key question of climate science is how sensitive is the long term temperature average ( one climate metric) to the doubling of C02. Our belief in radiative physics separates us from those in the Sky Dragon camp and from people who believe that GHGs have nothing to do with the temperature of the planet. We see them as flouting basic physics known to work. They are anti scientific. I cant think of a better word. This is measured working physics. The second question is one that we believe can divide the debate into 3 rough groups. The IPCC puts a range of sensitivity between 1.5C and and 6C for a doubling of C02. We see a skeptical camp falling anywhere below ~1C. They are skeptical of the accepted science. You might class Lindzen and Spencer in this group. We dont see them as being anti scientific. They fall outside the mainstream, but they are dedicated to doing science. 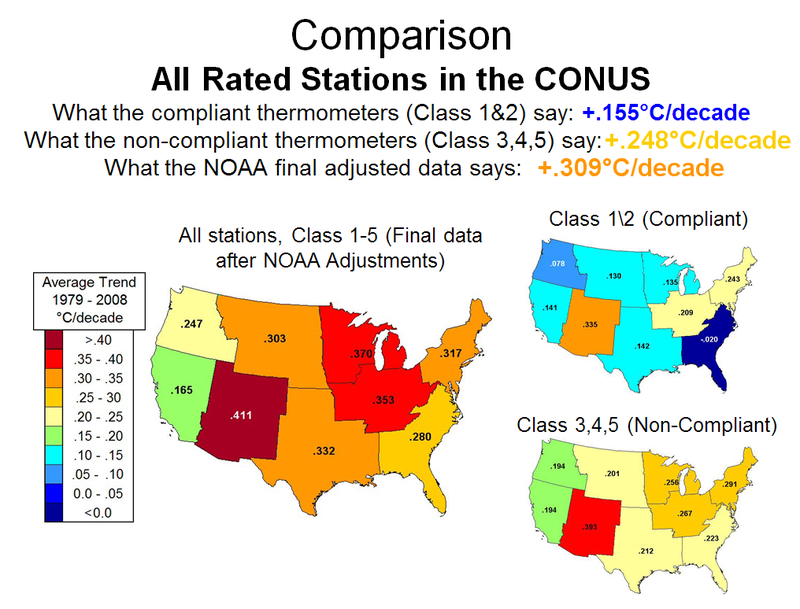 Lukewarmers fall anywhere between 1C and 3C. They believe that the real sensitivity will fall below the mean value of the IPCC (~3C). For reference, ModelE has a sensitivity of 2.7C. Those who believe that the real sensitivity lies above 3 ( say hansen, perhaps) we call them warmers. Lukewarmers are within the mainstream of climate science. Policy: There really isn’t any consolidated lukewarmer position on policy. Why? well, because science doesnt determine policy. Science can inform policy, but my belief that sensitivity lies between 1.5C and 3C has no logical connection to what I think we SHOULD do. is verus ought. As a Lukewarmer, I’d argue that we really should not have an accepted policy position. We’ve expressed on a few occasions that we support a policy of no regrets. Simply, those actions we would do regardless of the truth of AGW. For example, we tend to support nuclear. Of course I realize that the first Lukewarmers have no control over what other people who use the term mean by it. So, I’m just recounting some of our initial thinking. Lukewarmer is a description of a position about the science. GHGs cause warming. Sensitivity is more likely to be less than 3C than it is to be greater than 3C. If you accept those two, you’re a lukewarmer. Free the data; free the code; open the debate. By open the debate I mean this. There IS a debate in climate science. That debate is about sensitivity. If you accept #1 ( see above) you can join the debate. The nice thing about the lukewarmer position is that you really don’t need to have a position on tangential issues like the Hockey stick or the ice free arctic or any other number of distractions. It’s all about the sensitivity. Skeptics would add additional factors to the LukeWarmer position. The skeptics thread has shown that it is plausible to be skeptical of a number of issues regarding the findings of IPCC WG1. However, whether atmospheric gases such as CO2 (and H20, CH4, and others) warm the planet is not an issue where skepticism is plausible. Wouldn’t a WUWT press kit help and shouldn’t it contain a glossary of terms used in the debate? I’d be happy to do the leg work for your review and suspect you can count on a lot of help from other sites to pull it together. “Skeptics: make your best case”. Judith Curry has it backward, of course. It is those who put forth the AGW conjecture who have the onus of proof, or at least of providing convincing scientific evidence confirming AGW. By ‘evidence’ I mean testable, measurable data such as ice core data, and convincing empirical observations conducted in a scientific manner, such as the Central England Temperature series. Funny thing is, there is no scientific evidence that confirms AGW in a measurable, testable way. AGW may exist, but until and unless there is solid evidence connecting human emitted CO2 with a measurable rise in temperature, AGW is simply a conjecture. An opinion. Possibly only a belief. The onus is on the alarmist crowd, and they cannot convince scientific skeptics of AGW without providing solid testable evidence directly connecting global warming with human CO2 emissions in a measurable and replicable way. That is how science works, and all the arm-waving over AGW is meaningless without convincing scientific evidence. And so far, there is little if any evidence for AGW. Which leaves opinion and belief. Judith Curry has it backward, of course. The onus of proof is on the IPCC WG1 not Alarmists. Alarmists should be removed from the debate due to their vested interest. The Media doesn’t understand the meaning of the terms used to describe the various groups in the debate. Curry was simply giving Skeptics an opportunity to present valid issues that also question IPCC conclusions. The real physics of radiative transfer has never included a notion about the (back) radiation from colder CO2 warming the warmer surface. Apparently no one has been able to prove this notion experimentally. Your “belief” has no basis in science. My interest is to attempt to describe the various climate groups in the debate with the intent of sharing the info with climate sites and the media. Did I miss any groups? Which group (of those 73 out of 76 government-funded self-selected “scientists” who receive money from the government to specifically create the justification for further funding of government-funded “scientists” by justifying 1.3 trillion of new tax dollars) are the climate theists going to be assigned? After all, if funding creates biases, as claimed every day by the government-funded “scientists”, who are the group most thoroughly corrupted by funding biases? Climate Scientists could logically fall into any of the groups. Warmer doesn’t strike me as polite but I didn’t make up the terms. I wonder what self-label CAGW, AGW, and IPCC supporters prefer. The maximum effect that is observed is produced by a causative agent of barely detectable intensity, and the magnitude of the effect is substantially independent of the intensity of the cause. Check. High CO2, low CO2, all produces the same effect. The effect is of a magnitude that remains close to the limit of detectability; or, many measurements are necessary because of the very low statistical significance of the results. Check. Very low statistical significance. And we can almost, barely, ‘see’ AGW. And again, maybe not. Claims of great accuracy. Check. Purporting to measure temperature to tenths of a degree over centuries. Fantastic theories contrary to experience. Check. Experience shows that everything now being observed has happened before. Criticisms are met by ad hoc excuses thought up on the spur of the moment. Check. Everything is blamed on AGW. Ratio of supporters to critics rises up to somewhere near 50% and then falls gradually to oblivion. Check. I am not saying that AGW does not exist. I don’t know. But there is no convincing scientific evidence measuring AGW, therefore no one else knows for sure, either. AGW may turn out to be like N-Rays, or the Allison effect. Or CO2 may turn out to have a net cooling effect. At this point, we just Do. Not. Know. And those who claim to ‘know’ are operating based on belief, not on the rigorous scientific method. Your comments related to belief vs fact and the articles reference to Pathological Science are very interesting. Many, who support the IPCC conclusions, refer to themselves as ‘Believers’. So far, I’m not getting a lot of traction for the idea of a common set of defined terms and a corresponding Press Kit to help define the self-labeled groups in the climate debate. This seems like a very logical approach to eliminate confusion and aid communication. My comment led several to the 2010 thread topic on Climate Etc. Dr. Curry opened a new thread.